(Wayne County, IN)--New figures from the U.S. Census Bureau show that East Central Indiana counties are some of the poorest in the state. Only eight counties have a lower median income than Wayne County’s, which stands today at $41,849. One of those eight counties, though, is Randolph, which ranks #87 in median income for Indiana’s 92 counties. Wayne County also now has a lower median income than Fayette County, which has recently ranked at or near the bottom. 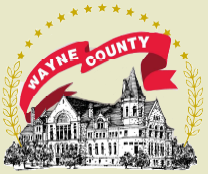 18% of Wayne County residents are now considered to live in poverty.